To break up all the Nails Inc love haha... This is Orange Soda from 17. 17 is a cosmetic brand available from Boots in the UK. This polish is a vibrant peach-orange-coral. Yeah! 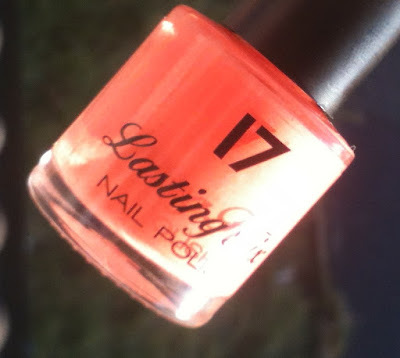 It's a milky peachy orange with just the tinyest hint of coral. 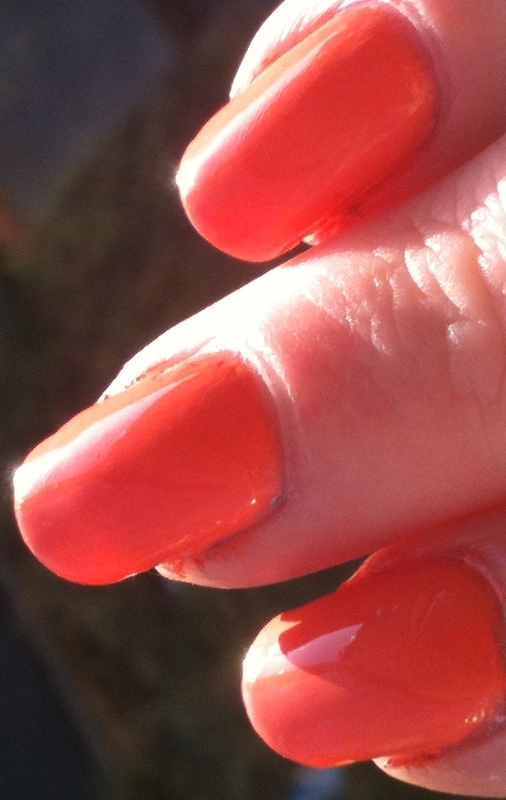 It took me 3 coats to get this opaque, mainly because it applied fairly unevenly for me. It seemed a bit thicker than most polishes. It did however, dry pretty quickly! There's also only 8ml in this bottle, most polishes are 10ml...but it was only £2.99, so it's not really something to have a moan about. Overall I like the colour and I do think it's worth the patience to get it right. Butter London Spring/Summer 2012 swatches! MAC Viva Glam Nicki Minaj Lipstick! Nails Inc Mini set swatches! Boots No7 Totally Teal and Vivid Violet swatches! Nails Inc Baker Street Swatches!